Construction is a dangerous profession. Individuals are susceptible to heightened danger due to the nature of the job. When negligence is involved, the chance of harm is substantially increased. At Schiller, Pittenger & Galvin, P.C., we are dedicated to fighting for the rights of individuals who have suffered a construction-related injury as a result of negligence. We have a proven track record of success and the experience needed to handle even the most complex personal injury cases in this area. We work on a contingency fee basis, which means that we do not collect any attorney’s fees unless we obtain a settlement or verdict on your behalf. Speak with one of our Union County personal injury attorneys today to see how we can help you. Our initial consultation is always free. While accidents can happen for a number of different reasons, they can be particularly devastating when they are entirely preventable. Whether you were injured by defective equipment or you were injured as the result of a safety violation, you may deserve to be compensated. 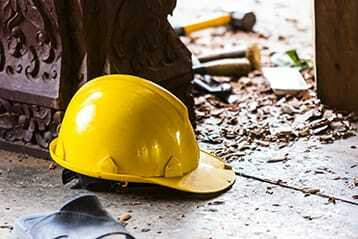 Get in touch with a Union County personal injury lawyer at Schiller, Pittenger & Galvin, P.C. to learn more about your options, including whether or not you may be able to recover compensation for your medical bills and a percentage of your lost earnings through a workers’ compensation claim. If you were recently involved in a construction accident, do not hesitate to discuss your options with an experienced personal injury lawyer. Construction Accident? WE CAN HELP.